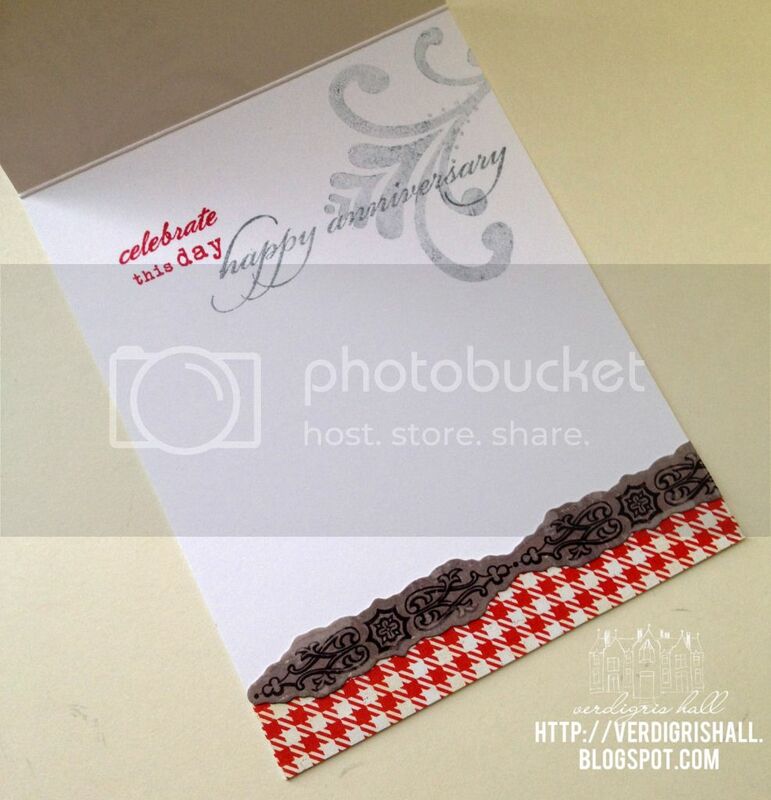 What feels better than sending an anniversary card to a couple who have been happily together for several years? Anniversaries are truly joyous occasions because they mark and celebrate people's ability to love, build a partnership and life together, compromise, commit and see the best in another. In no way is marriage easy and for two people to reach these milestones is really amazing and a true inspiration. My aunt and uncle recently celebrated 20 years of marriage. I wanted to go with a clean, sophisticated look. I have these number dies by Papertrey Ink that may have been one of my best purchases from them because they make birthday and anniversary cards so much easier. 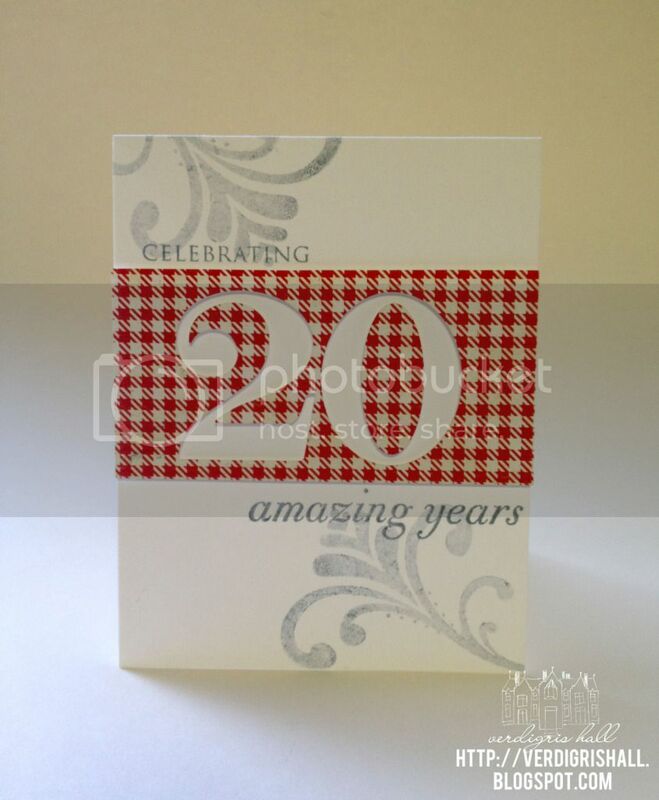 For this card I wanted to use the piece of patterned paper I cut the 20 from as the main focus of the card. I adhered the strip to the white card base using dimensional adhesive. 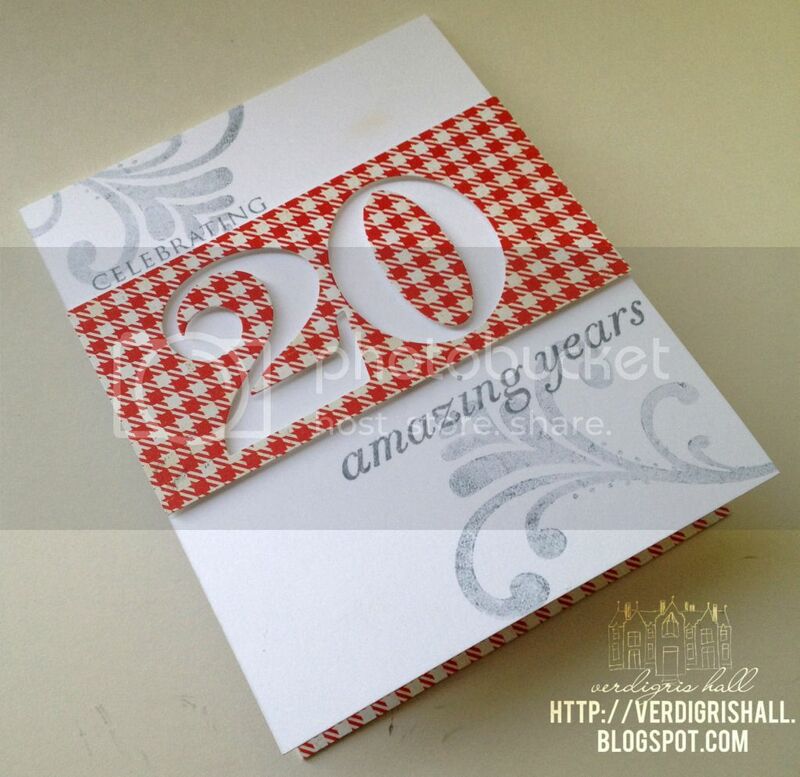 The celebrating and amazing years comes from a birthday themed stamp set by Papertrey Ink that coordinates with the dies. I thought I was done with that, but I felt it needed something a bit more organic and pretty so I pulled out my beloved Flourish Fun 1 by Paper Wings Productions designed by my friend, Julie Mogford and stamped the main bold flourish in grey (this was actually stamped off once on a piece of scrap paper and then stamped on the card stock for a softer grey). Inside the card I used a mix of sentiments from stamps by Papertrey Ink and Simon Says Stamp! in red and grey inks and the same technique with the flourish stamp before (stamping off once on scratch paper before stamping in the card). The border is a piece of the same red and white herringbone patterned paper from the front with a border sticker over top of it. 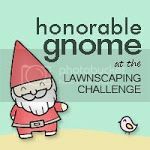 Thank you so very much for taking the time to stop by! 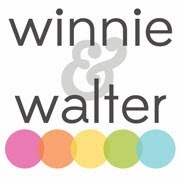 Stamps: Big Birthday Wishes, Papertrey Ink; Flourish Fun 1, Paper Wings Productions; mini scrapbook series: journaling circle, Papertrey Ink; Beautiful Words, Simon Says Stamp! This turned out great Shay!!! I love this card! I have number dies and have never thought to use them on a card-I reserve them for banners and scrapbook pages. You did a super job of pulling it all together for this one! And congratulations on the happy couple for a 20 year commitment. It's rare to find couples that stay together that long anymore.